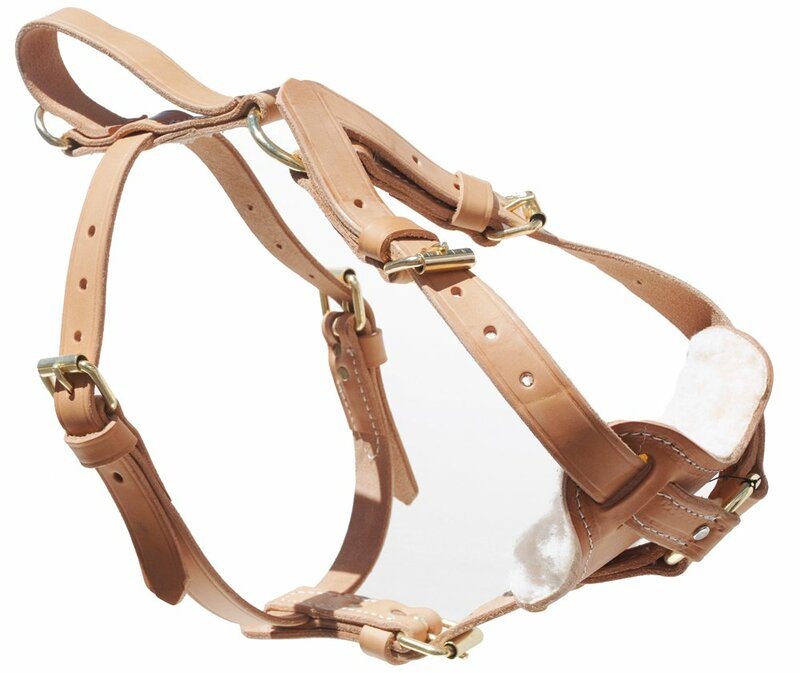 The tan leather tracking harness is ideal for tracking and one of the best all-around leather harnesses available. It features a fleece-lined padded breastplate for all-day comfort, brass-plated hardware for strength and durability and a low-profile handle running lengthwise down the back for easy access and control without snagging on thick underbrush or other items. Medium size fits 20-inch to 32-inch girth when measured right behind the front legs.